UPDATE 1/31/12: One more training class left: Saturday, February 18, 2012 in Norman, OK. See time, location and agenda below. Remember to bring your pcs and/note taking material as these are working sessions. Handouts provided. UPDATE: Due to Tulsa County’s precinct meetings being scheduled for Saturday, February 4th, 2012, the Norman Tea Party has agreed to move their Citizen Involvement training date to Saturday, February 18th, 2012. Same time, same location. Thanks! In anticipation of the upcoming 2012 Legislative Session in Oklahoma, OK-SAFE will be conducting their annual Citizen Involvement in the Legislative Process Training. These training classes are working sessions, so please be prepared to bring a laptop/notebook pc and notepaper. Handouts will be provided. These events are free and open to the public. We do ask, however, for a small donation to offset the associated expenses. Light refreshments will be served. The Oklahoma Legislative session begins on the Monday, February 6, 2012 and runs through the last Friday of May. This year plans to every bit as contentious as last, since more people are aware of the bad legislation being passed in this state. For instance, last year’s HB 2130, dealing with the health insurance exchanges, is still a live round. 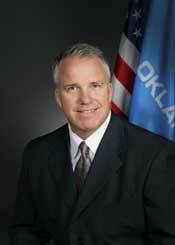 This highly controversial bill passed the OK House by a narrow margin on March 17th, 2011. Due to all the backlash the bill was not heard in the Senate, but because it was not voted on, it is still an active bill. Diligence will be needed by all those with concerns about the “Obama Care” health insurance exchanges – there will be several attempts by this legislature to establish one. Norman, OK – NOTE NEW DATE! Note: Host is Norman Tea Party. Introductory – The basics of citizen involvement in the legislative process. 1) Overview of the Legislative Process in OK; 2) Identifying your legislator, 3) Entering contact information in cell phones and contact list; 4) How to write an email to a legislator; 5) Making the OK Legislature/OSCN your home pages. Intermediate – Builds on Hour 1. 1) The OK legislative process, i.e. interim studies, bills introduced, bill committee assignments; 2) The committee process, and when to advocate for a bill; 3) Creating group email lists for both House and Senate Committee members, 4) Understanding the role of Speaker, Pro-Temp, Floor leader, and Whips. Advanced – Builds on Hours 1 & 2. 1) Understanding political doublespeak, i.e. smaller, smarter government; economic development; knowledge-based economy; 2) How to read a bill with understanding and find the titles of law; 3) Understanding Health Care Reform and the OHIET Trust: 4) Federal grants and who benefits from the passage of legislation. The state of Oklahoma is busy implementing the provisions of “Obama Care”, while appearing to oppose “Obama Care”. Must be politics as usual in Oklahoma. Below is this writer’s letter to the editor on the subject of health care reform. Perhaps you could write a letter of your own to your local paper. Now’s the time. The legislative session starts soon – on the first Monday of February – and the legislators are busy preparing their bill requests for 2012. Is it too much to hope these requests will include repealer bills, reversing those bills passed in 2008, 2009, 2010 and 2011 that laid the groundwork for single-provider/single payer “universal health care” in Oklahoma? In November 2010, Oklahomans passed SQ 756, ostensibly opposing “Obama Care”, by 65%. This measure added a new section of law to the State Constitution, saying a person did not have to “participate” in a health care system. With this constitutional amendment Oklahomans made a strong statement – clear opposition to government-run healthcare and support for the free-market. However, during the last days of the 2010 legislative session, legislators used a health care bill dealing with chronic obstructive pulmonary disease (COPD), to create a public-beneficiary trust called the Oklahoma Health Information Exchange Trust, or OHIET. (SB 1373; the trust language was added to the COPD bill in the very last week of session in 2010). This trust can solicit and accept federal grants, award contracts, issue/sell bonds, and make contracts, including those with any government or any sovereignty. It can do all things necessary to establish the entire technological infrastructure necessary for “Obama Care” to work, including the exchanges. And it can do so without any legislative oversight. By creating this trust, it appears that the Republican-led legislature, as well as the governor, both past and present, is working to undermine the will of the people. Initially, the newly-elected Fallin accepted a $54 million dollar Early Innovator Grant from the federal government, to implement the IT provisions of the Patient Protection and Affordable Care Act (PPACA, aka “Obama Care”). The Grant would have enabled Oklahoma’s Health Care Authority (and others) to establish the framework of a Healthcare Insurance Exchange – an insurance exchange that will plug into a developing system meant to access, use and distribute very private patient medical records. Under pressure, the Fallin administration rejected the Early Innovator Grant and, with it, Obama Care. 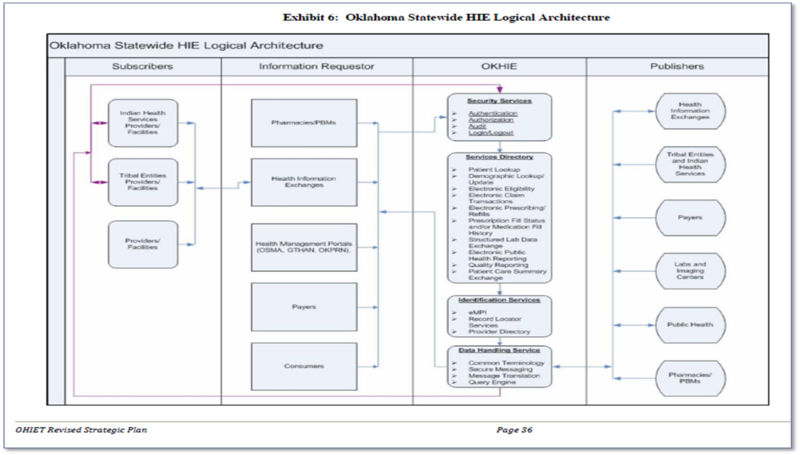 The OHIET trust, despite the wishes of the people, is still aligning Oklahoma’s health care system to the federal government’s standards and requirements; will cause Oklahoma to link into the Nationwide Health Information Network and national insurance programs; and will allow for the collection and sharing of our highly personal medical data, virtually from cradle-to-grave, eventually allowing this information to be shared with the Dept. of Homeland Security, and even globally. This type of health care system is doing an “end-run” around liberty, privacy and virtually any need for search warrants. It is not only Democrats who are implementing this new healthcare system against the will of the people – it is Republicans, too, from the Governor to State Legislators, to state agencies. Time is short. Oklahomans need to call their legislators and demand they terminate this trust before the backdoor delivery of “Obama Care” is achieved.